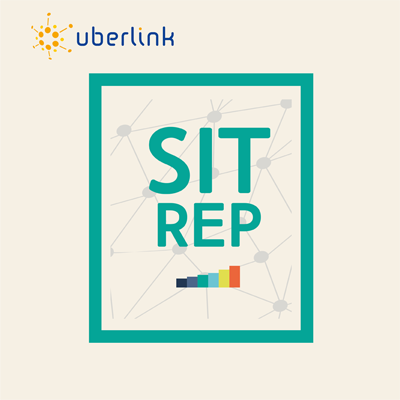 Uberlink Situation Reports (SitReps) are customized, high-fidelity reports which provide your organization with a detailed quantitative analysis of online presence and actionable insights for improvement, covering the hyperlink (WWW), Twitter and Facebook channels. They are suitable for marketing research, demand analysis, impact analysis, brand and product diffusion, academic research, etc. SitReps may utilize one of several data sources, including Web hyperlinks, text, and traffic analytics, Twitter activity and Facebook Fanpages. SitReps help organizations understand their web and social media presence, in order assist them with observing changes, measuring marketing initiatives, identifying key actors around their network or key messages about their network. SitReps are customized to your needs, including which seed sites to crawl, which Twitter hashtags to observe, or which Facebook Fanpages to monitor. Based on your parameters we suggest thresholds for e.g. number of Facebook fanpages, Twitter Tweets collected, etc. We provide you with a quote tailored to your parameters and thresholds. We provide an Executive Summary, introduction to the data sources, the network analysis procedure and the report framework. Summary statistics, social network analysis (SNA), clustering and semantic networks (where available) are all included. Interactive network graphs can be panned/zoomed and drilled down to sub-networks. Tag clouds based upon page words or meta-keywords provide immediate visual feedback. SitReps are privately available online and are HTML5 documents, complete with interactive Table of Contents and network graphs. Export your SitRep to the Adobe Acrobat PDF format, when an online connection is unavailable or inconvenient. Receive both a draft and a final report, with an opportunity to modify your parameters in between.